Arturo Toscanini was born on March 25, 1867, in Parma, Italy. Happy birthday Maestro! March 25 is also Independence Day and a national holiday in Greece commemorating the 1821 uprising against the occupying Turks that ended with the birth of an independent modern Greece in 1832. It is wonderfully appropriate that Toscanini's birthday and Greek Independence Day fall together as he was a conductor who hated compromise. Sadly the Greek struggle for independence did not end in 1832, and in the twentieth-century it had to endure invasions by the fascist forces of Italy and Germany, the subsequent Civil War and a military junta. Here are the words of that great folk hero, activist and composer, Mikis Theodorakis, who fought on the side of right in all three conflicts. So far death has only been defeated by art. All those who tried to reach immortality through violence, power or money have failed. There is no temporal dimension to immortality. Its distinguishing mark is one of quality, a strong sensation. Only art can convey the feeling of being immortal for three seconds. 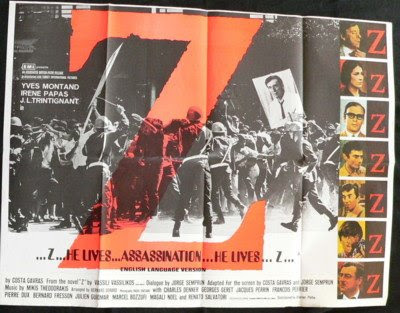 My header image is the poster for Constantin Costa-Gravas' legendary 1969 film 'Z' which was a barely fictionalised account of the assassination in 1963 of the Greek socialist politician Gregoris Lambrakis. The film and its soundtrack by Theodorakis, became an international symbol of opposition to the Greek military junta, read more about it here. Although out of print copies of Theodorakis' important book Journals of Resistance can still be found. Read it together with Thomas Merton's Passion for Peace, then wonder where are the twenty-first century equivalents? 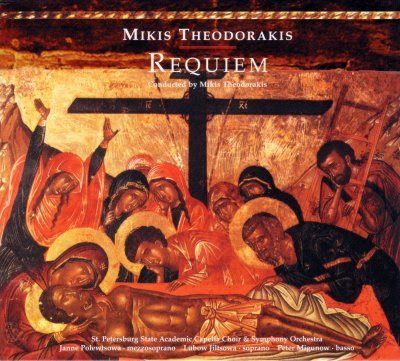 Now playing - Mikis Theodorakis' own recording of his Requiem (below), which is quite appropriate as March 25 is also the Feast of the Annunciation. My quote above is from the composer's notes for the CD release. More about Theodorakis' Requiem here.